superdumb supervillain: I'm so Bored, Inc.
a big smile too, not just a little grin. Bored, Inc. is anything but dull. This superstore of all things kawaii (cute in Japanese, but apparently a buzzword among the Etsy set) is run by a mother/daughter team out of Los Angeles. They've licensed their designs to other merchants for a decade but finally set up their own online shop to feature their adorable wares. Bored, Inc. literally has something for EVERYONE in the family. The care package we received had so much stuff in it, I was convinced that some of the items had to be for our giveaway. (Nope. That's a totally separate deal which you will want to check out at the end of this post. 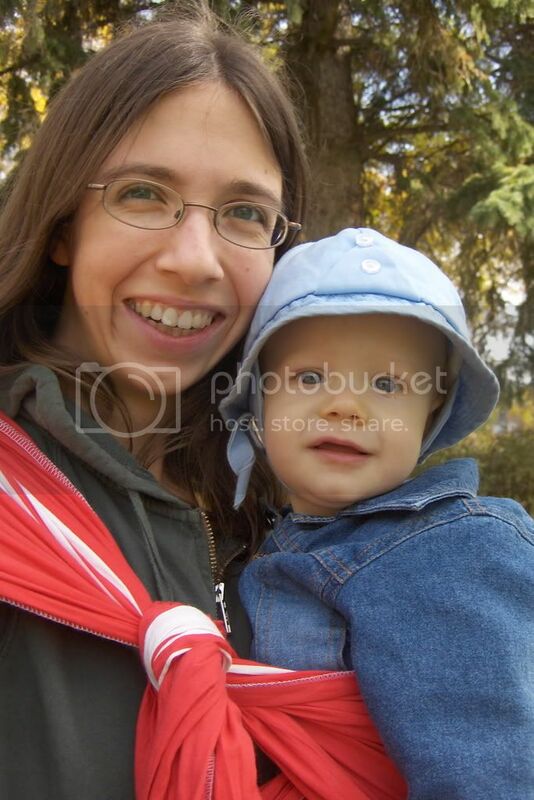 Seriously, it's a good one and open to EVERYONE in the world, not just North America…) There were tees for Roo, onesies for Jasper, belts for me, a hot dog wallets and matryoshka coinpurses for whoever... almost too much to comprehend. I was giddy! Roo was TOTALLY into the two step application (first you peel off the backing paper, like a regular sticker, then you smooth it down in position and peel off the clear vinyl top layer to reveal a super-shiny design. It reminded me of old-fashioned transfer decals only without the mess of water and no brittleness. I did Jasper's above his crib without kid intervention and I think it turned out cute. 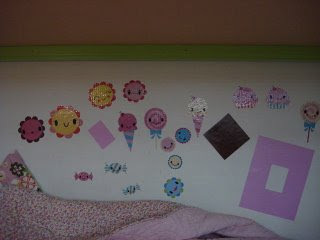 The block decals were my feeble attempt at nursery decor, by the way. I am much happier with it now, with the addition of Decorama™. Bored, Inc. makes a ton of sweet vinyl pouches and wallets and belts and nothing is more than $24. The Mushroom Fannypack and Nesting Doll Coinpurse probably the most hands-down adorable. Here's Jasper in his Ama Ebi (sweet shrimp) onesie from the Save Our Sushi! line. Roo got the equally sweet Tekka Maki tee but isn't as easy to pin down for photos these days. She also likes the pink (surprise!) Lil' Dumpling design, which I like because it makes me think of manapua. Yum. There is so much more to see at Bored, Inc. and almost everything on the site is under $25, so it's affordable as well as adorable. To enter and win a super-deluxe Bored, Inc. prize package (Winner's choice from in-stock merchandise: 2 sets of Decorama™, 2 toddler tees or onesies, 1 pin and 1 coinpurse or necklace) , please comment on this post with what you would select if you win. Entries will be accepted through April 23rd and I'll pick the winner using Random.org. Due to the generosity of Bored, Inc., ALL readers are eligible, even those living internationally! Only one entry/comment per person, please. I would chose- The Pink and The Black Insects Decorama, The Tekka Maki and The Smarty Poo Tees, and the Nesting Doll Pin. Well, the first comment never wins, but here goes anyway. If I won, I would choose 2 sets of the Mod Flowers Large Blue decoramas, 2 of the the Poo-quito Toddler Tees, and the Bee Necklace. I like the Monster Decorma's, the Crabby Cakes Toddler Tee's and the Been necklace if I won! If I won I would choose the bird with branch and three monkeys decoramas, crabby cakes and lil dumplin toddler tees, the cupcake pin, and the vinyl Mushroom coin purse. "Candy Coin Purse!" Please enter me in your delightful giveaway drawing. How fun! What delightful coin purse...the nesting dolls coin purse is my favorite - the kitty purse is cute, too! There's soooo much! 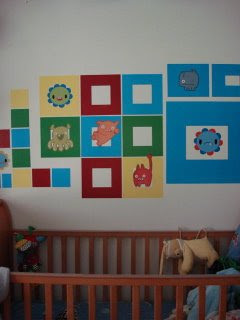 The four monster decorama is adorable! Thanks!! There is way to much cute stuff to choose from! Decorama: Bird/w Branch & Bollywood, Toddler T: Cutie Poo & Lil' Dumpling, Cupcake Pin & Candy Coin Purse would be my choices if I won. I would love the happy flowers and candy and cookies decorama, a cutie poo and tekka maki t shirt, cupcake pin, and vinyl mushroom coin purse. awesome giveaway, thanks so much! Hope I win! I love everything on this site! the t shirts are just too cute. I love this stuff! I would choose the monkey and happy flowers decorama, the smarty poo and poo-quito onesiess, the cupcake pin and mushroom coin purse. Oh I love bollywood & happy flowes for the decorama, the cutie poo & lil dumplinf shirts are adorable, the nesting doll black coin purse & the cupcake pin! Great site!! I LOVE the poo-quito onesie! All the wall decorma is adorable too. Oh wow. What a great giveaway!! I would choose the small, orange nesting dolls and the Bird with Branch decoramas, the lil' dumpling toddler tee in 4 and the the grumpy poo tee in size 2, the candy pin, and the Birdie Necklace!! I love the Crabby Cakes onesie! Great site! This is super-cool. I love everything,so it's hard to choose. Jasper is the cutest little model. You could seriously have him win the cover of Baby magazine or something. I think I'd get the candy and cookies decorama, the happy flowers decorama, the cutie poo tee size 2t, pink, the little dumpling size 2t tee, and the orange nesting doll coin purse! Love the Decorama Nesting Dolls Large and the Blue mod flowers, love the little dumpling and crabby cakes T's, the nesting doll pin and the green insect coin purse! Wow that was a mouthful! If selected I would like the insects--black decorama, cutie poo and party poo toddler tees size 4, cupcake pin, and the insect coin purse--green. I would love to win the "Bird with Branch" Decorama, a Crabby Cakes and Lil Dumplin Onesie, a cupcake pin, and a bee necklace! I'd get 2 of the Lil' Dumpling Toddler Tees, the Candy Coin purse, the Cupcake pin, the 3 Monkeys Decorama and the Candy & Cookies Decorama. Cute stuff! I'd like to win the Monsters and Candy and Cookies Decorama, the Ama Ebi Onesie and a Lil' Dumpling Onesie, the cupcake pin, and the TokyoBunnie™ Acrylic Necklace w/ Rhinestones. Thanks!! How great! I'd go for the Bird with Branch and Floral Vine Decoramas, Lil' Dumpling and Dim Sum tees in size 2, orange nesting doll coin purse, and candy pin. Thanks! I would choose the Monters decorama. for hosting this great giveaway. Love the 3 Monkeys Decorama! These are all sooo great! Here's my virtual shopping cart: floral vine decorama, unagi onesie, cupcake pin, and nesting doll coin purse in blue. Thank you!! I would get a couple sets of the monsters, the Tekka Maki and Dim Sum shirts, the nesting doll coin purse and matching pin! I would pick the Floral Vine – Ivory, and Insects – Blue, Stinky Poo Toddler Tee and Grumpy Poo Toddler Tee, Black Skull Cameo Pin, and Vinyl Mushroom Coin Purse...such cute stuff! I would get 2 sets of Bird with Branch decoramas,the Grumpy poo and Party poo toddler tees, the Candy pin,and last but not least, the Vinyl Mushroom Coin purse. I would choose The Pink and The Black Insects Decorama. The nesting dolls coin purse is my fave. Amazing stufff in the Decorama section! I'm completely in love with the little Hula' girl! Thanks! I'd pick two of the # Monkey Decoramas, an Unagi Toddler Tee and a Tekka Maki Toddler Tee, a nesting doll pin, and mushroom coin purse. I like the cupcake shirt! Please enter me. Thanks for hosting this wonderful contest!! i'd get the happy flowers & candy & cookies decorama, a poo-quito & unagi onesie, the candy pin, and the vinyl mushroom coin purse! Would love these: the Candy & Cookies and Happy Flowers Decorama; Lil' Dumpling and Smarty Poo toddler tees; the Cupcake Pin and the Candy Coinpurse! I'd love to win the candy and cookies decorama! If I won I would choose the Monsters & Bird with Branch decoramas, Crabby Cakes & Poo-quito Toddler Tee, the Black Skull Cameo Pin, and the Nesting Doll Coin Purse. Thanks for a great contest! Very kawaii designs! I like the Lil Dumling toddler tee! I would choose the Ivory Floral Vine, the lil dumpling onesie (2 of it so that I could give one to my friend, so our daughters would match! ), the candy pin, and the candy coin purse. three monkeys and monsters decorama, smarty poo and grumpy poo tees, and a tokyobunnie pin and coinpurse. The pink surprise is just too cute! The sweet shrimp shirt is ADORABLE. Just ADORABLE. First I would have to choose the "Dead Cat" bag lol I love this! Crabby Cakes onsie and tshirt! Great site! I love the skull cameo necklace. My favorite is the Candy & Cookies Belt in white. Great giveaway!!! If I win I like the Decorama Monsters Red & Green and Mod Flowers Large Red. The Lil' Dumpling Toddler 2 Tee and Stinky Poo Toddler 4 Tee. Last the Flower Faces purse. The onesies would be great for my baby boy! I like the Decorama Insects in black, the Ama Ebi toddler tee (3T) and onesie (18-24 mos) so my babes can match, cupcake pin, and insect coin purse in black. I liked the Decorama "Monsters", the Grumpy Poo and Smarty Poo toddler tees, the candy pin and the candy coin purse. Thank you for a great giveaway and letting us know about Bored Inc - really neat stuff for great prices! What a fun and fantastic giveaway!For the Decorama I would choose Miss Mindy Bird and the Elephants. The Crabby Cakes and Lil' Dumpling tees, the Nesting Doll pin, and the black Nesting Doll coinpurse. I'd get a cutie poo onesie for my first grandbaby who is on the way! These are very unique products. I am impressed! Really wonderful items. Thank you for hosting this giveaway. I really like the monsters decorama. I like the Poo T's: Smarty & Poo-kito also I love the Bird on branch purse. Great things. For me- Smarty Poo and Crabby Cakes shirts, Floral Vine Ivory and Happy Flowers Decorama, Nesting Doll pin and coin purse. I would like to have the Decorama Bird with Branch to start out with. The crabby cake onesie is GREAT! Gosh everything is so darn cute!! I like the crabby cake onesie, and everything! Really! love the tweed floral purse! The Bored Inc stuff is so cute i just made an order. I got the 2 monsters stickers for wall, a sushi onesie and a kitty coin purse. You don't find things like this around Barcelona. I would pick "Bollywood" and "Elephants" decorama; the "crabby cakes" and "lil dumpling" onesies; the "nesting doll" pin; and the candy coin purse. Thanks! So cute! The monster and cookie and candy decorama, the lil dumplin and party poo onsie, nesting doll pin and coin purse. i like the small and large mod flowers in blue. I like the bird with branch Decorama. Wow, lots and lots of stuff! I would get the monsters and candy and cookies decoramas, the grumpy poo and ama ebi onesies, the tangerine skull cameo and the nesting doll pin. Cute stuff for me and my son! 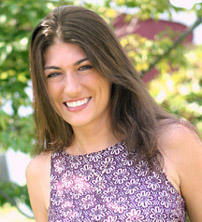 I would like to get several of the Nadia Decorama for my home office. Thanks for sharing!! 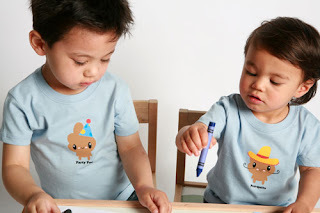 ohmigosh i love the tekka maki and unagi toddler tees!!! SO cute!!! Candy and cookies and happy flowers decorama; crabby cakes and lil dumpling toddler tees, TokyoBunnie pin, TokyoBunnie™ Coin Purse. What a lot of great things! We'd love to have the party poo onesie for Connor's birthday bash! I love the bee necklace! If I won, I would choose the stinky poo onesie and smartie poo toddler tee. All this stuff looks so fun and cute! 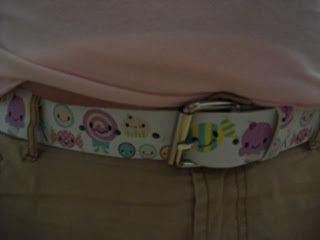 I love the candy belt. The mushroom one looks like something my sister would wear. Maybe I'll get her one for Christmas! The items I would choose would be the candies and cookies and the monsters decorama, The Poo-quito shirt for my 2 year old and the poo-quito onesie for my son, and the candy pin and candy coin purse. the smartie poo and stinky poo onesies, and the candy coin purse and cupcake pin. There is so much I love! The Nurse Kiss Lock Purse, love the Decorama's especially the 3 monkeys and Nadia. I also love the Tokyobunnie necklace and the Cutie Poo tee. I would love, love to win this! Love it all! I would choose the 3 monkeys and the Happy Flowers Decorama, the Tekka Maki Toddler Tee and the Lil' Dumpling Toddler Tee, the cupcake pin, and the nesting doll coin purse. Tokyo Bunny necklace with Rhinestones would be my selection if I am picked. Monsters Decorama™, Crabby cakes &Ama ebi toddler tees, cupcake pin and candy coinpurse. I'd get the Bird with Branch & Mod Flowers Small-Blue Decorama. 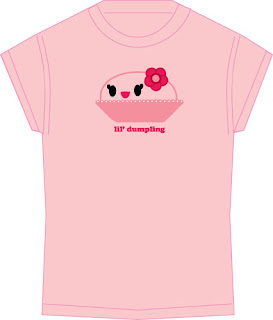 The Lil' Dumpling & the Ama Ebi tees are my favorite. I'd also get the Cupcake Pin and the Blue Nesting Doll coin purse. Tokyo bunny canvas zipper tote is awesome!!! I love it!! Love the happy flowers decorama! 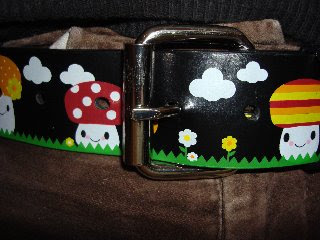 I love the belt and would probably buy a few to give to friends for holidays/birthdays. My kids love monkeys. Would love that one. i like the bird with branch decorama, the cutie poo and smarty poo tees, and the nesting doll coinpurse in blue. I love the mod flower in blue (decorama), the crabby cakes onesie, the blue nest doll coin purse, and the tokyo bunny pin! This site is fantastic! I'd love the Candy and Cookies and pink insect decorama sets, lil' dumpling and tekka maki onesies, the candy pin, and an orange nesting doll coin purse. 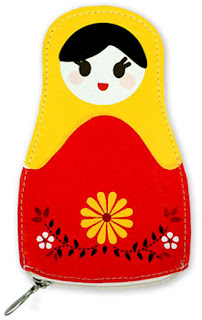 I love the nesting doll coinpurse. i would choose an assortment of onesie's. I love the Dead Dog Tote, the Double Kittie bag and the tokyo bunnie decor! ssoooo cute! I REALLY want the Kitty Kiss-Lock Bag ... but it's sadly sold out. So my 2nd choice would be the Double Kitty bag!! I would pick the grumpy poo toddler shirt, The crabby cakes toddler shirt. the pink skulls and hearts decorama.The blue and orange monster decorama. The candy pin.The candy coin purse. omg i love it ALL! I had such a hard time picking my favorite things..but I have decided the 3 Monkeys and the Skull w/ Bow : Small for the Decorama, any 2 Onesie's they are ALL cute, and lastly Candy Coin Purse and a Cupcake pin. Cupcakes makes EVERYTHING all better!!! What cute products! I would chose the elephant and 3 monkey decoramas, I would request to get one toddler and one onesie for my kids with the Dim Sum logo, the cupcake pin and the candy coin purse. i believe the pink and black insects decorama,boys would love that! any of the onezies(4 grandkids,2 boys 2 girls)and coinpurse in blue. I would choose the "Three Monkeys" and "Bollywood" decorama (or two of the Bollywood if that was possible), the "Little Dumpling" and "Crabby Cakes" Toddler T's, the "Candy" coinpurse and "Cupcake" pin! What an awesome contest -- thanks for a great opportunity! I like the Stinky Poo Onesie. They have alot of cute items. I can't get enough of the insect and Candy & Cookies decorama, the tekka maki toddler tee and the grumpy poo toddler tee, cupcake pin and bird neckalce. I'd gladly have the hotdog wallet in place of any tees though. I may have to buy it regardless of a win, should I be so lucky. I'd go with some onesies because they're so practical - I like to poo-quito but they're all great. how fun! i would choose Elephants and 3 Monkeys Decorama; the Poo-quito Onesie and Smarty Poo Onesie; the Nesting Doll Pin and the Birdie Necklace. I'd love to win this one! I'd have to pick the 3 monkeys decorama and the cutie poo toddler tee for sure! I also love the Poo-quito onesie! Please enter me! the Vinyl Heart/Skull Tote is sooo cute! the dead kitty purse is sooo cute!!! My favorite is the Skull Necklace. Jasper is just too cute. He's getting big! Thank you for another great giveaway. I had so much fun looking on their site. I would pick the 3 Monkeys and Happy Flowers for the Decorama; Poo-quito and Dim Sun Toddler for the t's; the candy pin and of course, the weiner wallet which would be for me! I absolutely love the Heart & Skulls, too cool!! Her stuff is adorable. ETSY has some of the most creative people. Here is what I would choose. As you can tell I have a teen emo girl so the Tokyo Bunnie is a huge hit. 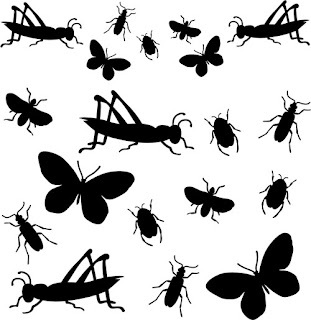 At the top of the list would be the insect coin purse in black. Unagi Toddler Tee is very cute. I love the Smartypoo kids tshirt. My son is very smart and would look so cute in this shirt. I would choose the Candy and Cookies Decorama and the Crabby Cakes onesie. I think I would get two sets of the monsters. Then Lil' Dumpling and Tekka Maki onesies. And finally Tokyo Bunnie Pin and a Vinyl Mushroom Coin Purse. Definitely decorama...due to being in the military we have been renting for a few years since we're on the move at any moment...and having some additional wall decor when you can't paint is ESSENTIAL! Would LOVE this item! I've been collecting kawaii Japanese stuff for years, so Bored,Inc. is right up my alley. I instantly fell in love with the TokyoBunnie and Candy & Cookies Decorama. But the other accessories were impossible to choose on the spot because they have so much stuff that is totally me, that my head is about to explode. I bookmarked Bored,Inc and I'll probably never have money again because I'll spend it all there. There goes my anime DVD budget for the decade! I would pick the Heart & Skulls decorama, Crabby Cakes Toddler Tee, Ama Ebi Toddler Tee, Black Skull Cameo Necklace and pin. I would choose the Lil Dumpling onesie. They have such cute stuff! I would choose the happy flowers and the bollywood decorama. I would aslo choose the cutie poo toddler tee. Thanks so much! What wonderful products! I'd love to win the Tekka Maki and Dim Sum toddler tees, the Bollywood and Monsters Decorama, and the black skull cameo necklace. Thanks! I'd get two different monster Decorama packs, the Dim Sum and Crabby Cakes tees, the Nesting Doll pin, and the Nesting Doll coin purse! I would take TWO of the Bird With Branch Decorama.